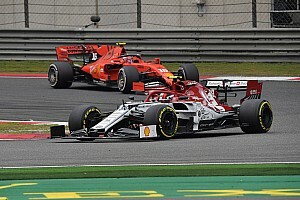 Haas Formula 1 team boss Gunther Steiner has criticised the decision to penalise Romain Grosjean for an offence under yellow flags following Antonio Giovinazzi’s crash in Chinese Grand Prix qualifying. 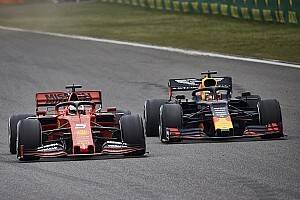 Grosjean and Renault’s Jolyon Palmer were both given five-place grid penalties for improving their time after passing double-waved yellow flags for Giovinazzi’s wrecked Sauber in the middle of the track after he went off at the final corner. 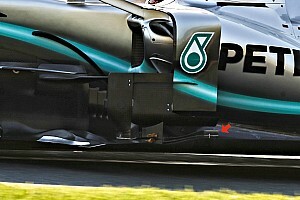 Both drivers claimed they backed off, but the stewards ruled that they "attempted to set a meaningful lap time”, which is not allowed in the rules. “If they want everybody to stop, they need to throw a red flag,” said Steiner. “Sometimes you have to be conscious that we actually race. 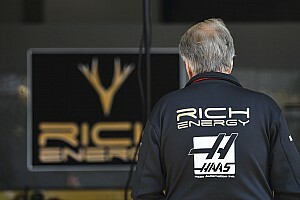 “Romain backed off. It’s a double yellow, he was – in my opinion – in control of the situation. “If you look at the [data] trace, he lifted, saw nothing, accelerated, saw the wreck, lifted again. Sometimes I don’t get it, but anyway, I’m not a steward. Speaking before the decision from the stewards, he added that he was initially told it was a single-yellow flag zone, which is why he stayed on track to complete the lap. “I backed off before the corner, took the corner slowly,” he said. “I didn’t go to the pit because the engineer told me it was a single-yellow flag, so that could just be a spin and going again, I didn’t know it was a crash. 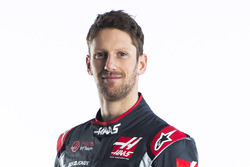 Grosjean added that he felt the situation was skewed by the fact that he spun on his first attempt in Q1, meaning he was bound to improve his lap time even if he backed off next time through.